What is Middle Fossa Acoustic Tumor Surgery? During middle fossa acoustic tumor surgery, a bone flap is removed from above the ear in order to provide access to an acoustic tumor. The brain is also lifted from the base of the skull to provide entry to the internal auditory canal. Middle fossa acoustic tumor surgery may be performed in cases of an acoustic tumor or neuroma. There are no comparable non-surgical alternatives to middle fossa acoustic tumor surgery. Suboccipital acoustic tumor surgery is a surgical alternative to the procedure. Middle fossa acoustic tumor surgery is performed under general anesthesia, which means that the patient is asleep and completely unaware during the procedure. 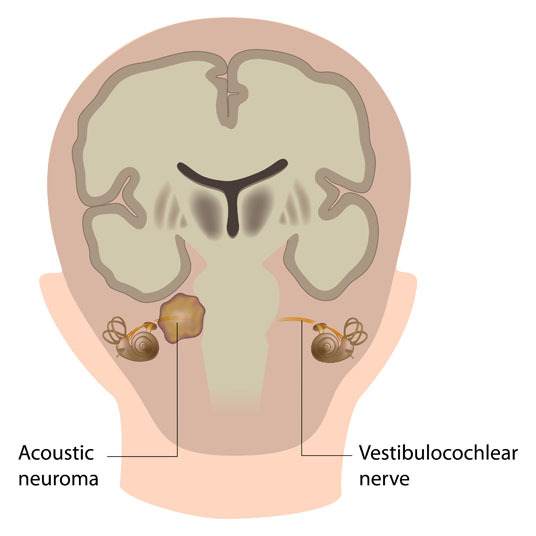 Possible risks following middle fossa acoustic tumor surgery include infection, nerve damage, brain damage, hearing loss, intracranial bleeding and a negative reaction to the anesthesia. The prognosis for a positive end result following middle fossa acoustic tumor surgery is good. 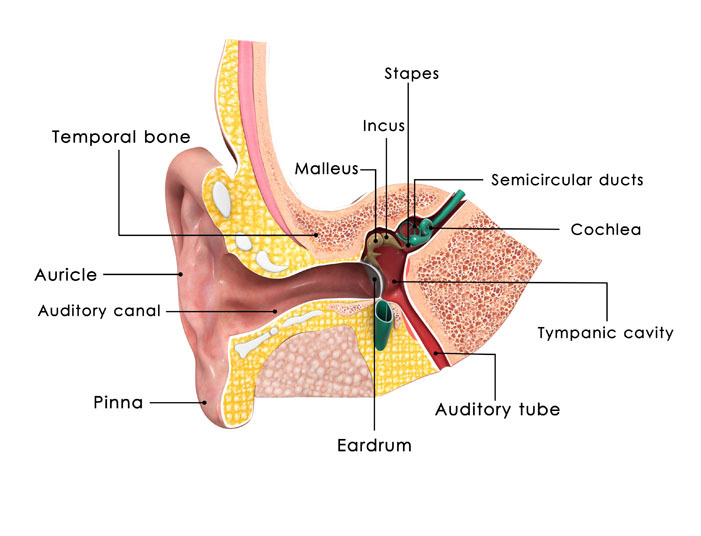 There is about a 20 percent change of hearing loss. Total recovery from middle fossa acoustic tumor surgery takes one to four weeks, or longer.